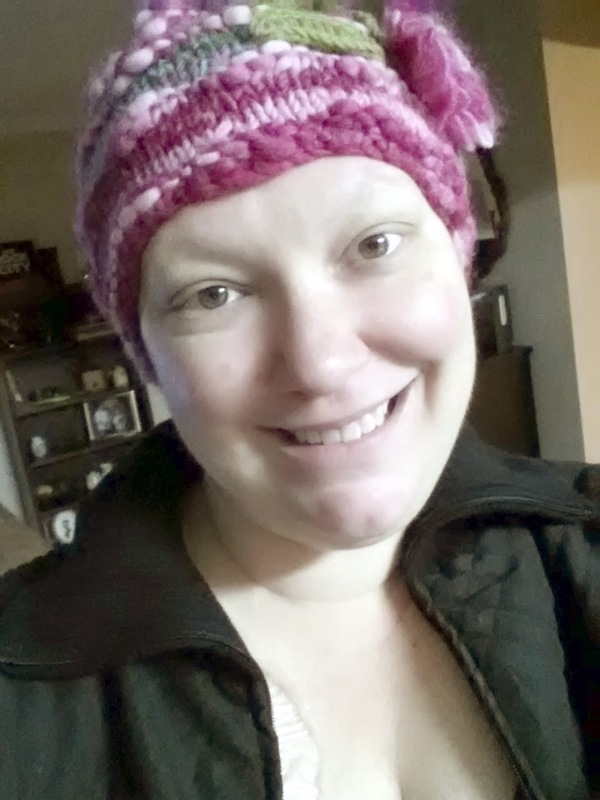 Home / Chemotherapy / Personal / Final Chemo!! XLVIII - I will survive! 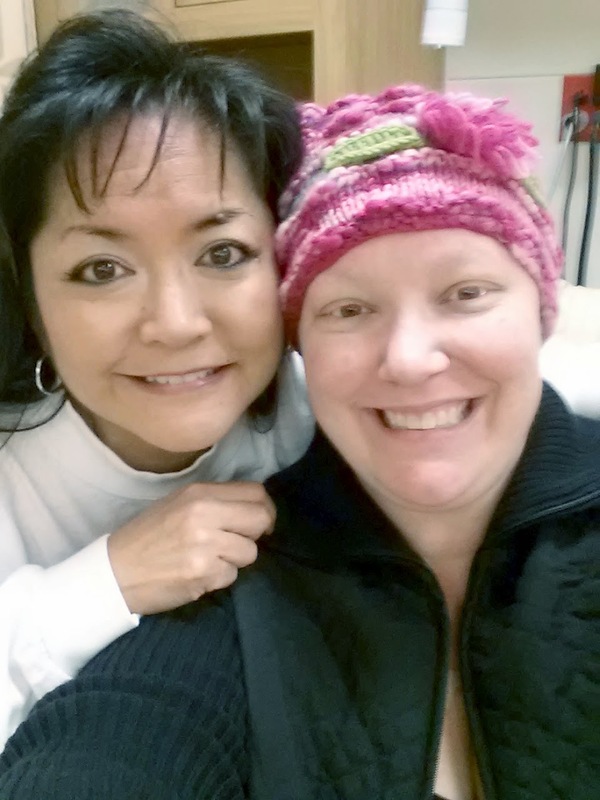 I cannot believe it, the final chemo! My last time to get up super early, lidocaine my port area, and cover it in saran wrap in the wee hours of the morning! The last time that I will have to readjust that saran wrap multiple times because it got moved during the morning chaos in my house. The last time to wear one of my designated 3 tank tops for the sole purpose of keeping my IV line from hooking on my shirt! A happy Monday for me!!! Since it was my FINAL (if you haven't figured that out) treatment, I had to meet with the nurse practitioner. I guess to make sure any final lingering issues would be addressed. Of course, I mentioned my crazy high heart rate. For the past month it had continued to be on the 100+ side of things, which was of course higher than I would like. I was not suppose to worry about it unless I started to get irregular heart beats, then I was to worry. So if it continued, they would address it after I had been off chemo for a month - which would hopefully allow it to drop back to "normal". I addressed my red feet and bloody fingernails which is all chemo related and nothing that could help them. I mentioned all my normal reactions to chemo and all were basically told "too bad, nothing to help" - as I expected. Unfortunately, there was no time frame for when all these lovely chemo side effects would stop after treatment - days, months, years... it would just depend! Besides the normal fun banter, I did get a MRI scheduled for the following week prior to meeting with the Breast Surgeon. It will be interesting to see if the chemo was working and to see how much the mass has shrunk. I know it has shrunk some - I can feel that - but I have no idea how much exactly! Last time in the chair... for this! What can I say, but it was my last treatment! I was as obnoxious as normal, expect for some high-fives given to the nurses and volunteers. I have such a great group of people taking care of me and I have really appreciated all of their personalities and ability to laugh at my crazy attitude. 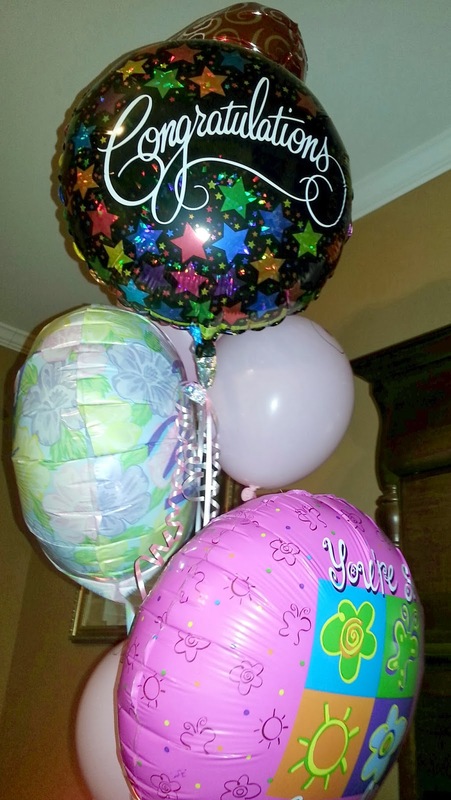 My nurses rule! A great friend makes the day even sweeter! Most importantly, I have had created an amazing friendship with a wonderful person. She did not like finding out that I was going alone to my treatments and set her sights on being with me with no question of day or time. From the early morning hours until early afternoon almost every week for almost 4 months, I have been sharing my most challenging life experience with her. Spending time with someone (no technology or distractions) has been so rewarding and something we rarely do these days! 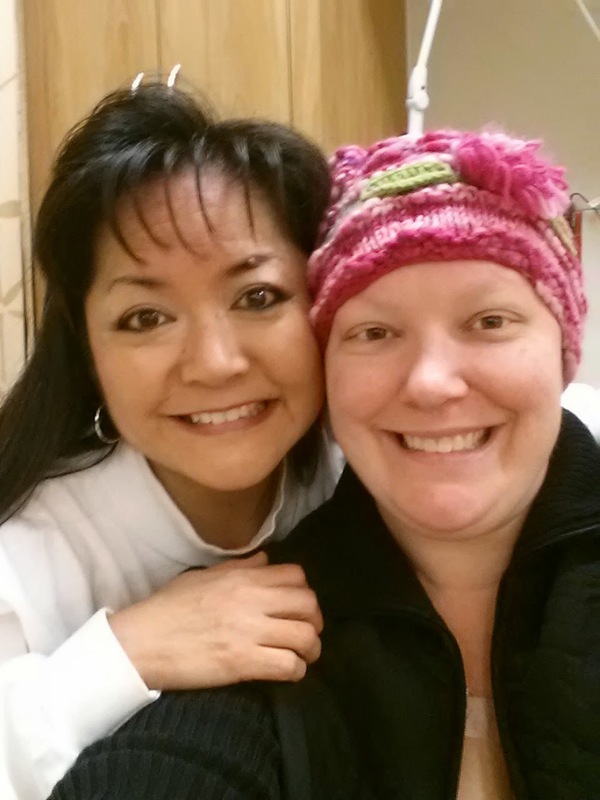 While she was my friend before treatment, through this experience I have gotten to know her so much better and have found her to be one of the kindest, funniest, and generous people I know! One huge positive that came from cancer was it has provided me an opportunity to develop an amazing friendship... Mary you are the best!!! 6 Months of Chemo Completed! I did it! 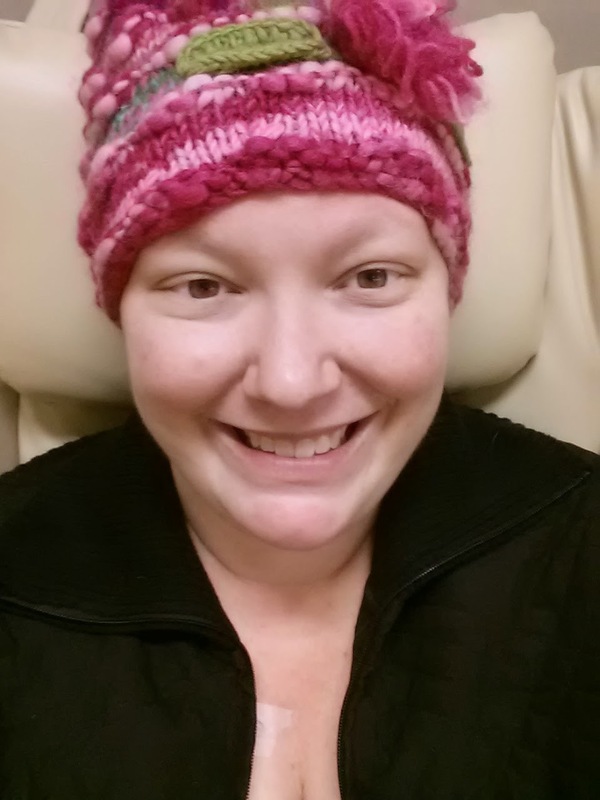 I completed the last round of my chemotherapy. What a long 6 months!!! I have gained and learned so much during this time. I have learned that I am stronger than I even knew. I have learned that I am more optimistic than I ever imagined. I have learned so many things. I have also had to learn to accept help and support from others, which was something I did not easily do. I have also found out that I have a wonderful group of women around me who I am lucky to call friends. I have bragged about Mary, but I have more to say... and I am probably leaving someone out (sorry if I am), but... to my Girl's Out Lunch group - you give me the ability to laugh and smile, to my Food Providers (from Huntsville & Chattanooga) - you have relieved me of a task that sometimes was too daunting to do, to Valarie - your persistence to call and check on me was a wonderful reminder of your friendship and support, to Kristina - your ability to watch and help with my daughter at any given moment has made my life easier, to Joanne - your continued gifts and letters were bit of joy in my journey, and to my Mom - your love and support has been a wonderful gift during some of my darkest days!